Supplied with 2 1/2" No. 10 woodscrews and detailed fitting instructions. 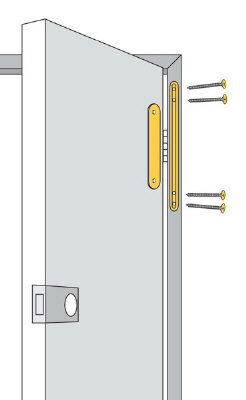 An enlarged drawing to illustrate HingeGuard Plates and a HingeGuard - click here.